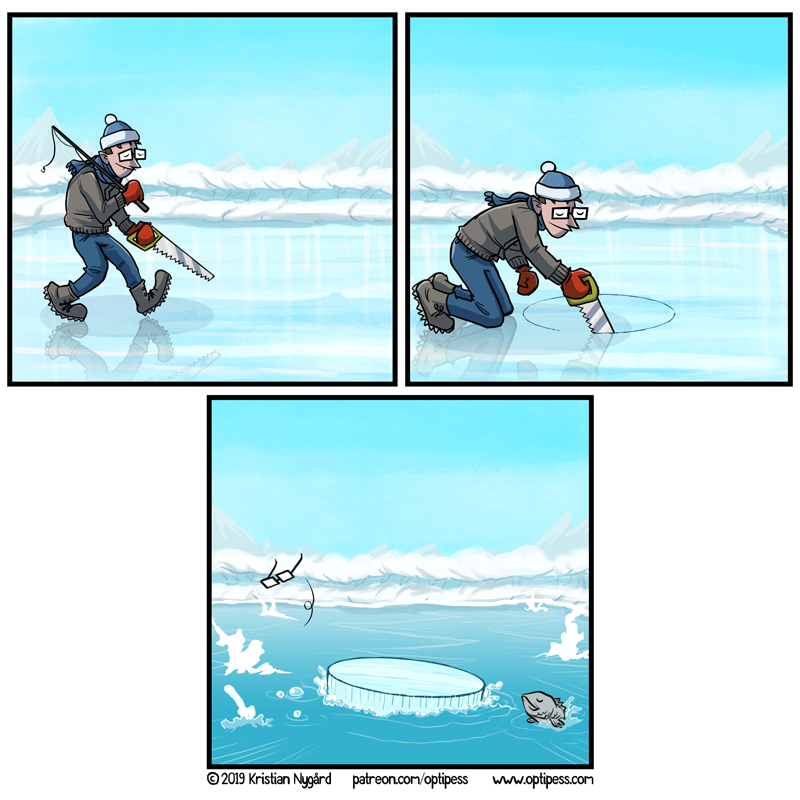 This is pretty much an entirely accurate depiction of a Norwegian winter. Also a Norwegian summer, come to think of it. Beautiful art. And a simple joke well executed. This is one of my favourite ones you’ve done in a while! I like the background. And the strip itself give me real Wile E. Coyote vibes! Love it.